Alamo Heights Dermatology (San Antonio) - Book Appointment Online! 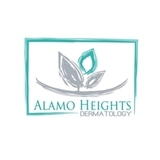 Alamo Heights Dermatology is a full service Dermatology office offering cosmetic, medical and surgical Dermatology services. Very nice/clean place. Didn’t have to wait long. Easy parking.